The Financial Crimes Enforcement Network (FinCEN) of the US Department of the Treasury renewed a Geographic Targeting Order (GTO), on February 23, 2017, requiring “U.S. title insurance companies to identify the natural persons behind shell companies used to pay ‘all cash’ for high-end real estate in six major metropolitan areas.” The counties covered in this renewal are: all New York City Burroughs, Miami-Dade County, Broward County (FL), Palm Beach County (FL), Los Angeles County, San Francisco County, San Mateo County (CA), Santa Clara County (CA), San Diego County, and Bexar County (TX). Each county will have a different monetary threshold for transactions covered by this GTO to become applicable. In New York, covered transactions shall be all cash payments for real property at or above a total purchase price of $1,500,000 in Brooklyn, Queens, Bronx, Queens, and Staten Island. In Manhattan, covered transactions are set at or above a purchase price of $3,000,000. A title insurance company involved in a covered transaction will be required to file a FinCEN Form 8300 detailing, inter alia, the identities of any persons representing the purchaser and any “Beneficial Owners” (an individual who owns 25% or more in equity of the purchaser) “within 30 days of the closing.” For New York, this GTO will continue to prevent anonymous high-end purchasers in the five boroughs. 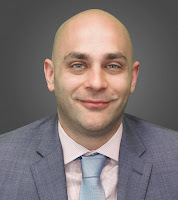 Steven Siliato, Esq. - Senior Associate Attorney at Lieb at Law, P.C. with a practice focus on real estate and corporate transactions.